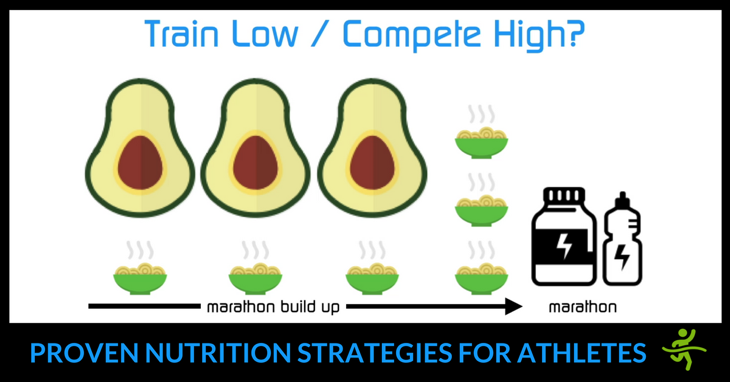 Nutrition strategies for athletes are vital. Learn how to optimise your nutrition for athletic performance while maintaining excellent overall health. This is part 2 of our interview with Tom Bainbridge. Check out part 1 if you haven’t watched it. Factors determining your muscle fibre composition and how it affects your training. Implications of using animal fats for fuel compared to plant-based fats. Different types of carbohydrates and their impacts on athletic performance and general health. Why endurance athletes can be prone to illness if they don’t eat properly. Foundation diets and additional energy requirements for exercise. The case for easily absorbed carbs. The right way to incorporate shakes into your diet. How you know you’re using the right fuels at the right time. The best ways to incorporate ‘Train Low, Compete High’ strategies. The 4 biggest takeaways to eat well and become a stronger athlete. 0.34 Can muscle fibre composition change with training? 8.00 Are there performance differences between using animal fats and plant-based fats for fuel? 9.31 Is there a change in body composition of fat-adapted athletes? 15.30 What about the different qualities of carbohydrate? 20.55 Should you replace a healthy breakfast with meal replacement shakes? 25.30 What is metabolic flexibility and how does it help athletes? 27.45 What takeaways do you have on nutrition strategies for athletes? Please share your thoughts on nutrition strategies for athletes in the comments below.